that zombies were once the unwanted stepchild of the horror movie world. 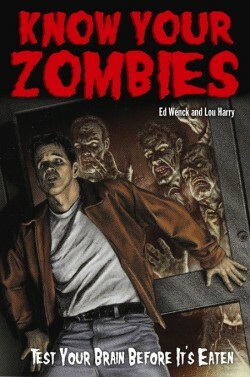 Know Your Zombies is a combination guidebook, puzzle book, trivia book. We hope it helps bring back great memories of your favorite zombie movies, introduce you to some you may have missed, and challenge your knowledge of your favorite horror movie genre. From the silent movie era to today, Know Your Zombies is a feast for those hungry to test their cherished brains.